Sometimes, we just need a break from life. And what better place to do exactly that than the southern islands of Thailand? I found serenity in idyllic Koh Samui. 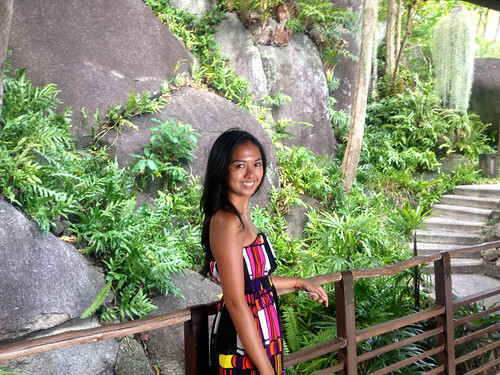 I chose to stay at Kamalaya to rejuvenate my mind, body and spirit. 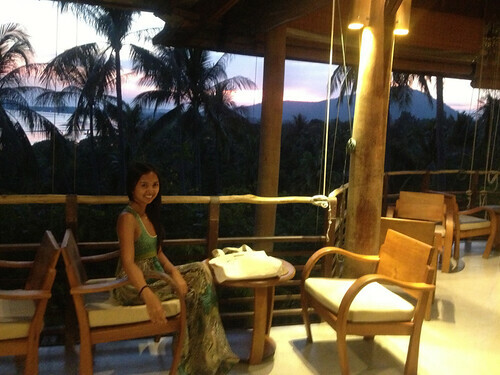 I was welcomed by my own personal chauffer upon arrival at the charming native hut-inspired KohSamui airport. We drove 45 minutes to the northern part of the island. 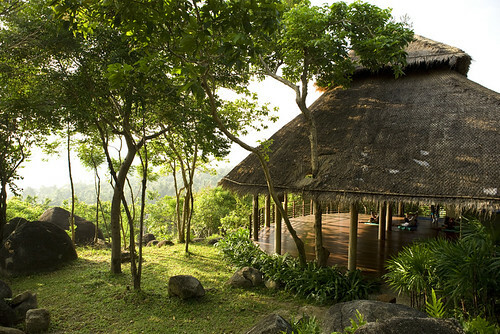 Tucked away in the mountains is Kamalaya, an award winning luxury spa resort that was once a hideaway for no less than the Duchess of York. 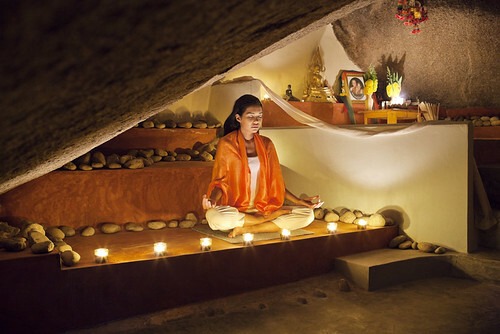 The sanctuary offers a holistic wellness experience that integrates healing therapies from East and West, a breathtakingly beautiful natural environment, inspired healthy cuisine and customized wellness programs and retreats. 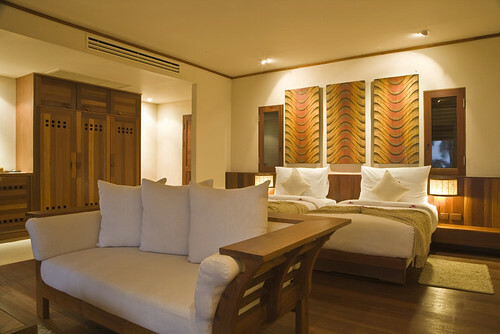 Kamalaya’s vibe is serene, beautifully rustic and lavish at the same time. I was warmly greeted by the General Manager and the reception team with their refreshing signature elixir. 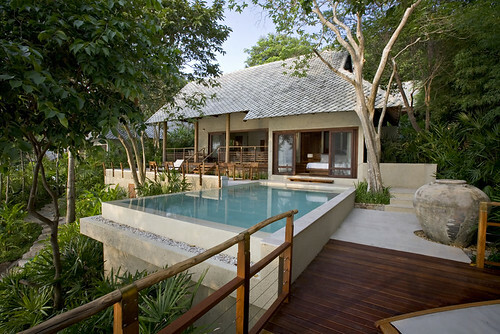 They prepared their best villa, a 2 bedroom, ocean view villa with its own pool for Lois and I. So they were really sad to hear that Lois couldn't fly out to Thailand. I would have loved to share this experience with my Sole Sister! I was glad to see that the schedule of activities was filled every hour from sunset meditation, yoga classes, aquaerobics, talk with healers, musical events and after dinner socials seven days a week. Seeing the map of the eight hectare property made me realize this wasn’t just another tourist resort, but a complete haven for tired bodies and souls. 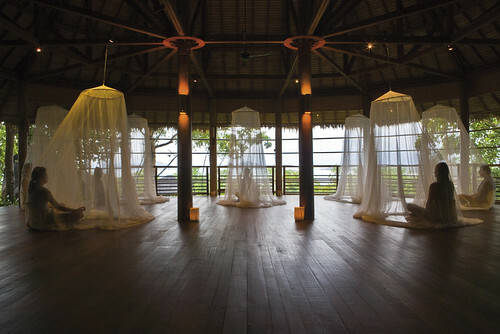 Kamalaya, which was conceived and founded by John and Karina Stewart, was originally intended for a site in the Himalaya. However, when John visited KohSamui in 2000, he discovered a piece of land that immediately captivated him with its special energy. 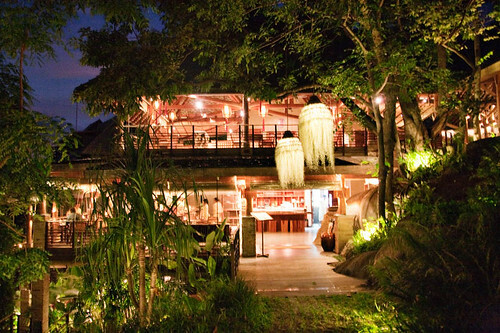 He was especially drawn by a cave that once served as a place of meditation and spiritual retreat by Buddhist monks, and with this discovery he knew that he had found the ideal home for Kamalaya. 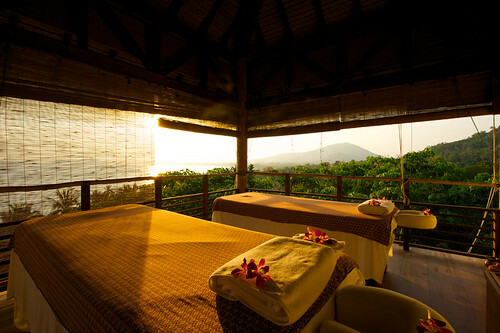 On my first afternoon, I hurried to the Spa Pavilion where I had an appointment with a resident naturopath from Australia. A nurse had me lay down and relax for some tests that would determine a few things going on inside my body. She said that I was generally healthy with no signs of any major illness. 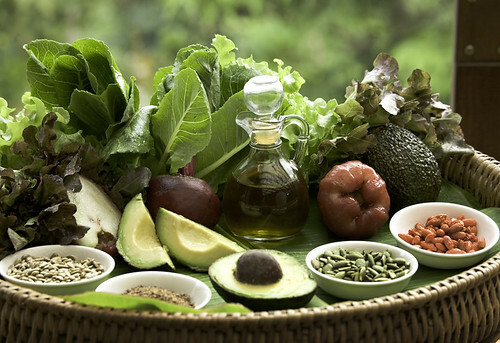 However according to the tests, my diet needs more omega 3 acids which is found in fish plus healthy oils found in nuts. She also said that I needed more sodium in my diet. I was in spa bliss! The next few days that followed was nothing short of heaven! 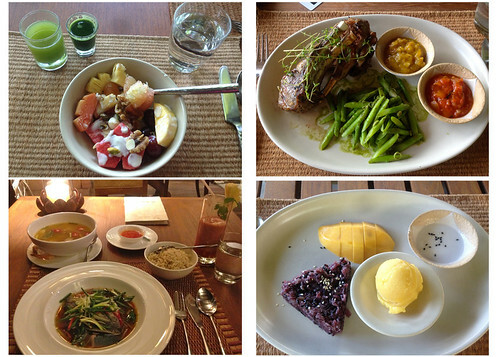 In between heavenly massages, I was treated to scrumptious meals at the restaurant all day. The breakfast buffet had everything from all the grains and nuts that I badly needed in my diet, fresh raw honey, gluten free breads, fruits and healthy blended smoothies and freshly squeezed juices. I couldn’t decide whether the highlight of my trip was the spa treatments or the delicious nourishing food at the Soma restaurant. 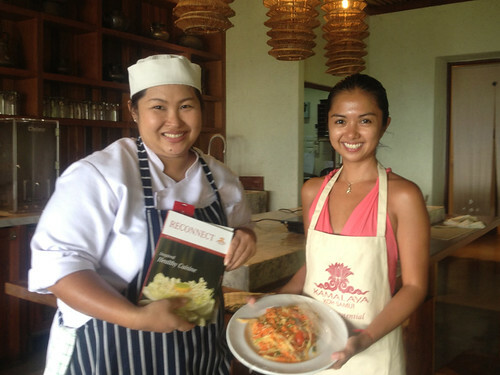 I also had the privilege to join the Thai cooking class and learned to make a mouth-watering three course meal: Papaya Salad, Tom Yam Gung and Green Curry Chicken. I will be sharing the recipes in a separate blog so do watch for it! Some of the guests come here to do absolutely nothing and leave completely refreshed. While some choose to complete a wellness program such as detox, weight loss, stress & burnout, optimal fitness, yoga, sleep enhancement, or the relax and renew program like I did. I was glad to find myself quite busy rushing from one appointment to the other, and satisfied my appetite without feeling guilty at all. Never have I been pampered like this before! If you are due for a much needed break, a vacation from your vacation, or just want to feel how it is to be queen for a few days, book a retreat with Kamalaya Koh Samui. Namaste and special thanks to all the staff at Kamalaya Koh Samui! Dreaming of the day I can come back to your sanctuary. I am sure these villas maintenance takes very much cost. There are beautifully maintained. 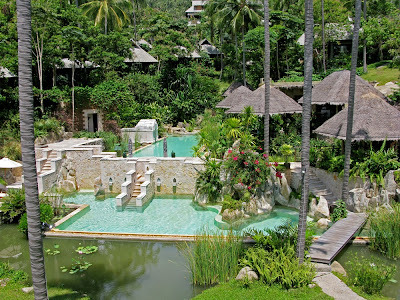 Koh samui has no doubt wide range of awesome villas.